Sleeps 4 - Pets Welcome - STB 4*'s. 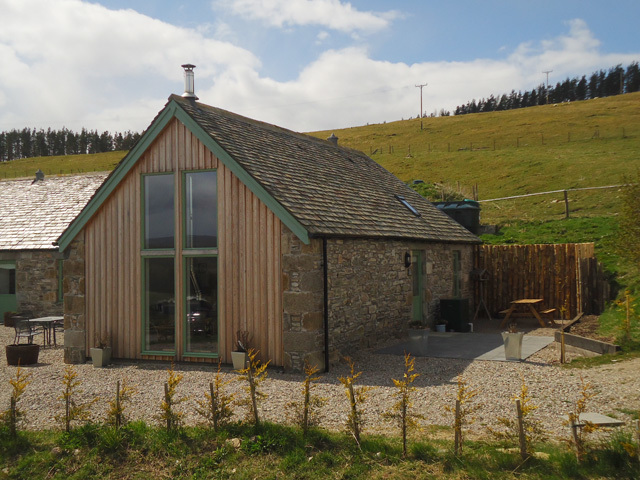 The Grain Store is situated in arguably one of the most scenic of spots, the magnificent scenery from the property down the valley and beyond to the Ladder hills and to the peaks of the Lecht Mountains are truly inspiring. 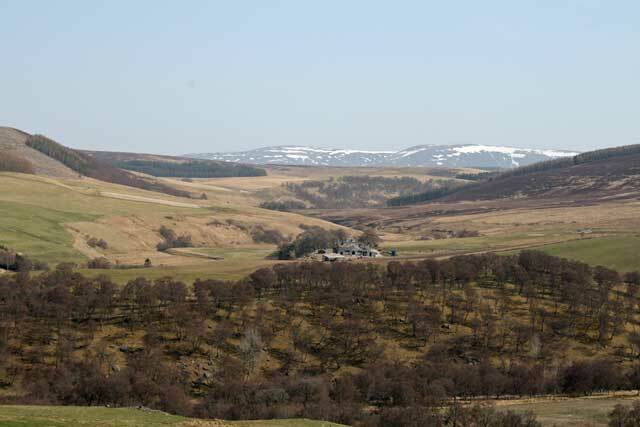 The location is ideal for exploring the Cairngorms National Park. 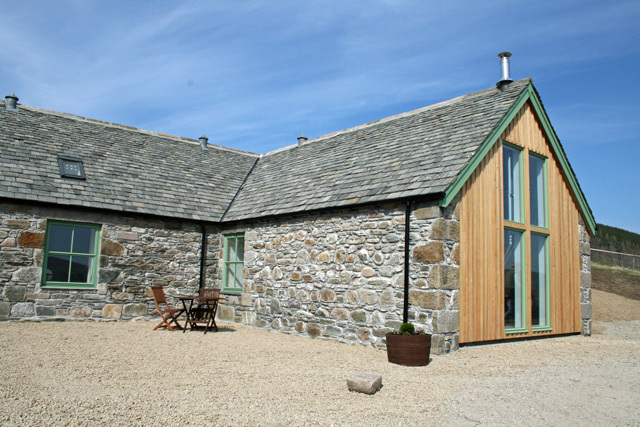 The property part of an original barn steading is adjacent to two other properties, The Cattle Shed and The Mill, both of which can be booked through us making the properties ideal for a large family or a group of friends. 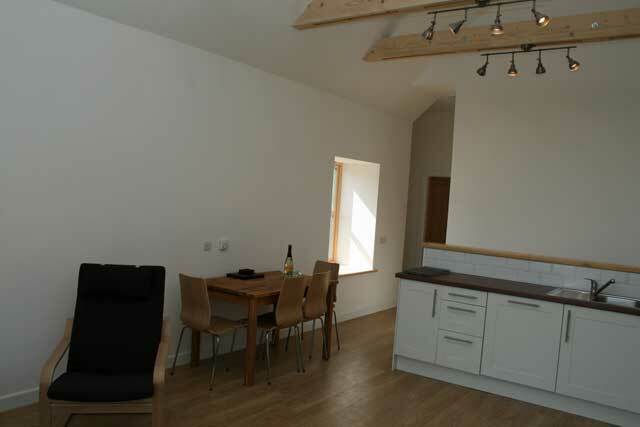 The cottage, the mid size property at the steading, has been painstakingly converted and rebuilt by the owners, now retaining much of its original character, with double height vaulted ceilings and exposed beams. 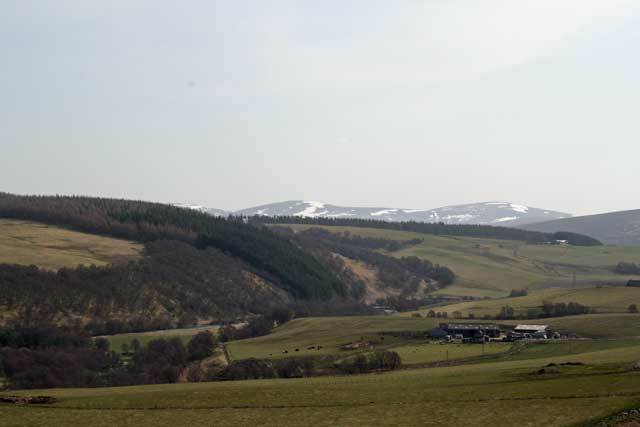 The official name for the steading is Balneden, meaning “farm on the hillside” in gaelic, and records show that it was first used as a farm from the 1740’s. The property all on the one level has been completed in a contemporary style, and has been well equipped and furnished by the owners. The property benefits from a large amount of natural light due to the five metre high floor to ceiling windows at the end of the lounge. 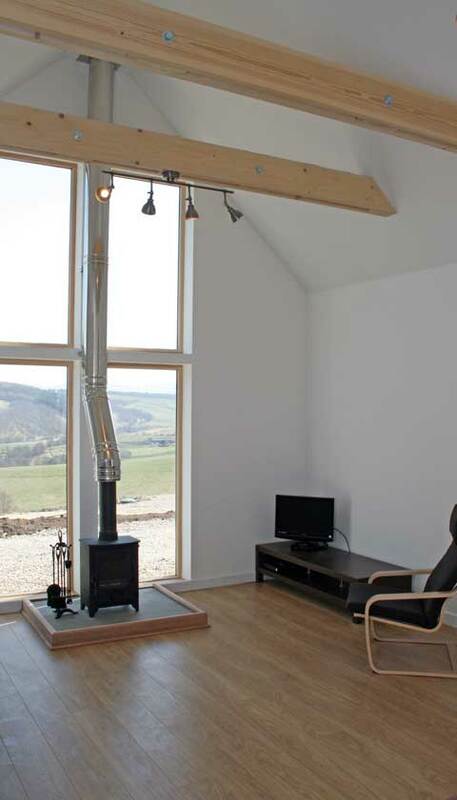 The property consists of a large open plan lounge/kitchen, complete with a wood burning stove, providing a real focal point to the room along with the picture window. 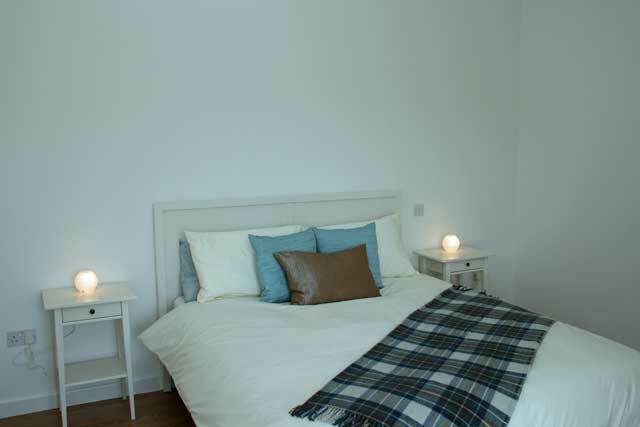 Further facilities include a master bedroom complete with a king size bed, and a twin room. 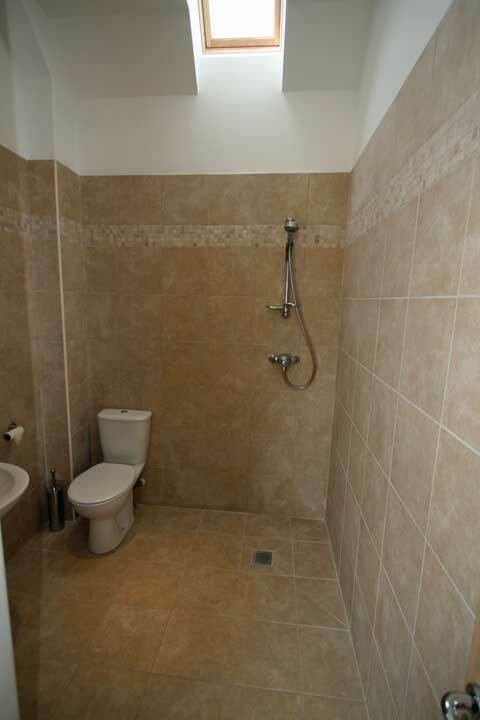 A large spacious wet room with a walk in shower completes the facilities. The lounge/kitchen and bedrooms have been all been floored with oak, and these including the tiled bathroom benefit from underfloor heating. A private outside seating and garden area is available for the use of guests. The Cairngorms National Park, being the largest in Britain offers the visiting guest a wide variety of outdoor pursuits no matter what your ability or age. Home to Scotland’s best and oldest ski area, the runs here offer skiing for all capabilities, for the advanced try the black run, the White lady, not for the faint hearted. The lower slopes are ideal for the beginner and tuition and ski hire is available. In the summer months why not take the venicular railway to the top, the views from here are quite spectacular and the Ptarmigan restaurant on the mountain top plateau is an ideal place to sit and have a refreshment. Located between the village of Aviemore and the ski area you will find Loch Morlich, in the summer months the loch makes an ideal place to sit and relax at on the sandy beaches. For the more adventurous why not try your hand at a bit of canoeing, sailing or wind surfing. The Park is also home to the largest expanse of native woodlands in the United Kingdom, and is an ideal place to walk and explore. The many walks suitable for all ages and abilities are an ideal way to pass the time and enjoy the many varieties of bird and wildlife that can be seen in the area, from the many squirrels feeding by the paths to the occasional osprey circling the sky. There are a host of places to visit in the vicinity, one of the best is the Moray Firth and its coastline, situated within a 45 minute drive of the property. The firth is home to pod of bottlenose dolphins, and there are various boat trips available, allowing the visitor to see the dolphins in their natural habitat together with otters, porpoises and seals. For birdwatchers Culbin Sands and Forest, together with its RSPB reserve, are well worth a visit. The many forest walks and paths are ideal for exploring, and the area is home to large selection of wildlife. Glenlivet is home to the Glenlivet distillery, probably one of the best known of Scotland’s whiskies. The area and its secluded location provided an ideal place to produce illegal spirit. However this changed in 1823 when distilling was legalised and George Smith a local farmer, obtained one of the first licences. The malt produced here has won a whole host of accolades and awards, including an award for being one of the United Kingdom’s Coolest Brands for 2009/10. The distillery is part of the Speyside Whisky Trail, the trail covering seven distilleries in the region offers the visitor the chance to experience and taste some of Scotland’s Water of Life, and gain an insight into the art of making the various malts and blends that Scotland is famous for. A great time to visit is May or September, as during these months many of the distilleries have festivals and special events. Private outside seating area overlooking the River Avon and Ladder hills beyond. Garden furniture and use of charcoal BBQ. 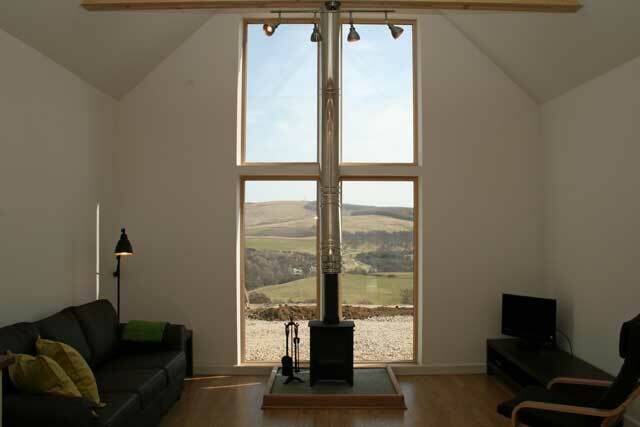 King size bedroom, with under floor heating – spacious room with stunning views of the valley. 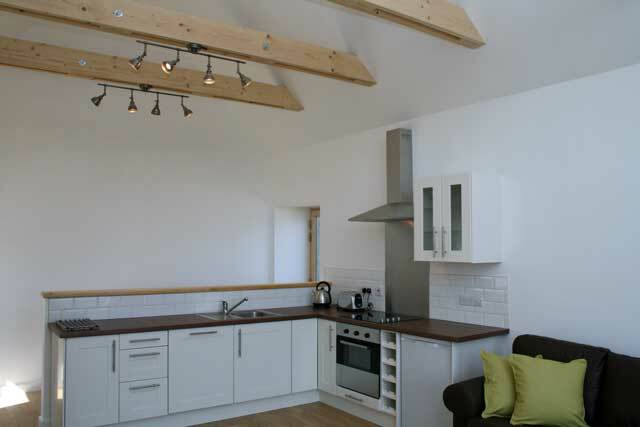 A Good Housekeeping Deposit of £75.00 is required at property. One well behaved dog is allowed , however as the property is located near a working farm during the lambing season, April 16th - to the end of May, no dogs are allowed. A £20.00 weekly charge applies. Excellent walking and cycle routes on waymarked tracks. We enjoyed a wonderful week in the Grain Store. The property is well equipped with amazing views. The hosts are friendly and helpful - even returning a cuddly toy to us which was left in a bedroom! The local area offers so many activities - we walked and skied and relaxed afterwards, enjoying the beautiful surroundings. Highly recommend and we'll be returning! Excellent cottage. Immaculate throughout. The wet room was superb. Warm welcome from owners, plus goodies, (and free eggs). Hope to return next year.